Hey there! My name is Alex. 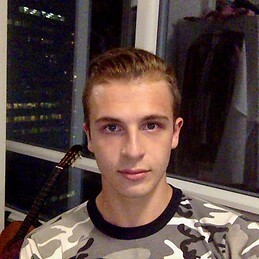 I am an international student from Ukraine, currently studying in Canada. I am going for a semester abroad to Santiago, so that I can finish learning Spanish. I am an easy-going guy, my hobbies include sports, guitar, books, photography and traveling. Im really into travelling and I constantly organize trips to all kinds of remote places. I am going to travel a lot during my stay in Chile. When it comes to the roommates I dont have a strict preferance. As long as you are outgoing and fun, we will get along :) Would be cool if you speak spanish so that ill be forced to speak and learn the language. Great if you are social and like to travel, so that we could hang out togenher and have fun, and maybe even travel somewhere at some point. A student dorm or a shared accommodation is probably what im looking for. Cant wait to see you in Santiago!